“A few years ago I realised that as a single person in my mid-forties with rubbish superannuation and a sub-$50,000 income I had to start doing something to set myself up for retirement. I’d had experience in property investing with a partner before but this time around it was totally different doing it on my own. 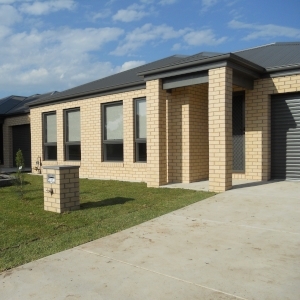 I couldn’t afford to invest in Melbourne anymore, it was just way out of my budget and so I ended up buying a one-bedroom place in Horsham, Albury. It was the ugliest house on the street by far and I don’t know if you can even call it a house... it was more of a bungalow-type arrangement! It was all I could afford at the time and one of the biggest drawcards was its fantastic rental yield of 8 per cent meaning it was positively geared and I didn’t have to worry about it at all. After I got started I couldn’t stop. The benefits of investing in the country were just fabulous. I bought a mortgagee in possession property for a great price, which has a rental return just shy of 10 per cent, and then very soon after I secured another property which had the potential to subdivide and develop. I pursued that idea and ended up getting two units built and tenanted within 12 months of purchasing the property. Then after that I purchased another existing house and I have two more builds underway at the moment. All of my purchases and builds have been in Albury, because it’s the perfect location in relation to where I live in Melbourne. One of my key requirements was that the location was in driving distance of Melbourne because I couldn’t justify spending money on travelling to some far flung regional centre in Queensland or New South Wales. The whole point of investing in the country was to make things cheaper and I didn’t want to spend thousands of my hard-earned money on all the costs associated with travelling to inspections and auctions interstate. Flights, accommodation, car hire and time off work would’ve just added up to way too much, so I had to turn to country towns in Victoria that I could drive to and back within one day, even if I had to get up at 5 o’clock in the morning.